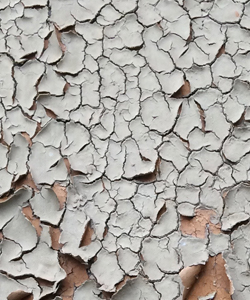 Peeling paint can be unsightly, allow for additional problems through the formation of rust or rot, and may lead to a lower serviceable lifetime of your equipment. While the lost elasticity of age is a common cause, solvent gasses, adhesion loss, and mold are equally disruptive. Each coating is prone to its own challenges, so your first step towards prevention lies in understanding the origins of your current problem. Failure analysis is best approached by unravelling the sequence of events that caused the peel. Only then can effective action be taken to prevent recurrence. A macroscopic and microscopic test of the failed coating will reveal underlying rust, microbes, and chemical failures. 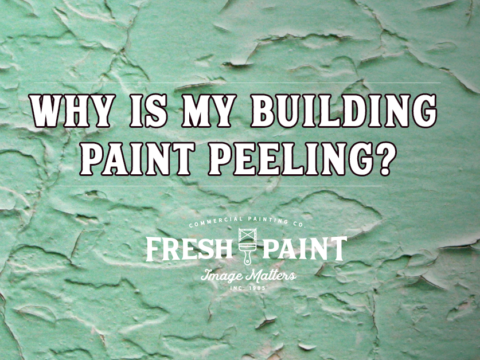 If your paint is inadequately manufactured, no amount of surface preparation or curing will prevent peeling. This issue may relate to a poor choice of resins, solvents and pigments. 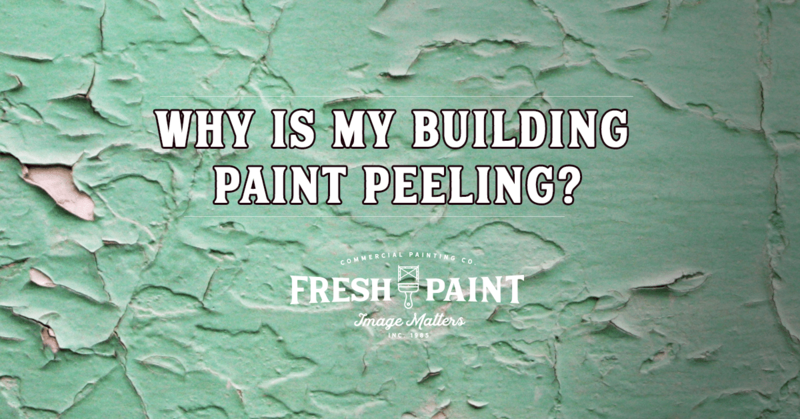 The type of peeling you’re facing can tell you the exact cause of your coating failure. Chalking, for example, tends to be caused by light-related resin degradation and improper pigmentation. Alligatoring is more likely to be caused by surface shrinkage and stresses, while large macrocracking is often caused by coatings that are formulated to dry too quickly. If you see tiny spots of corrosion, your formulation might have an imbalanced zinc/binder ratio. Blotchy brown and black spots point to a microbe or fungus. Permanent antimicrobials can prevent such damage in the future. Large machinery presents its own coating challenges. Its wide surface alone can lead to improper cure schedules or an incorrectly chosen application medium. A rub test will reveal any softness in the coating. If the surface is hard, it might not have been prepared thoroughly enough. First-stage degreasing and derusting needs to be thorough to hold a dry coating well. Peeling on machinery that isn’t subject to abrasion points to a pretreatment problem such as a poor water rise pH balance or incorrect baking oven temperatures. Cast iron and other porous surfaces need to be carefully prepared. Oily soil must be brushed and air-blasted, and chemical pre-treatments must remove all rust. In this kind of equipment, peeling is often caused by trapped moisture, but anti-rust chemicals that aren’t thoroughly removed before coating are just as catastrophic. If your paint is blistering , it’s probably losing its adhesion due to poor anti-rust chemical removal. Galvanized zinc corrosion may be caused by zinc salts, but if white corrosion is happening on aluminum, your surface might have been too smooth to hold your coating. A primer needs to be added to smooth metals to improve adhesion. Metal railings and catwalks are often galvanized and carry a mill coat that can prevent adhesion, so they require special preparation. If yours are peeling, a thin zinc layer may have been left behind, causing saponification that breaks down your coatings. Concrete surfaces present their own set of problems, often related to moisture content, porosity, or chemical reactions thanks to a poorly prepared surface or incorrectly-chosen paint. 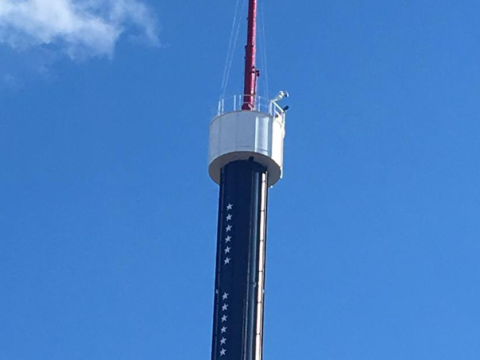 Fresh Paint Inc. supplies a range of metal coatings and power washing services to prevent all forms of peeling and blistering. Brick and masonry are highly porous and resistant to adhesion. Soluble salts can remain despite acid washes, and moisture seeps deeply into pores, making it difficult to remove. If oil or alkyd paint is used on concrete surfaces, a slippery film can form between the coating and mortar, causing peeling. Adhesion can be improved by filling in small cracks with paintable caulk and allowing applied cement to dry thoroughly before coating. Loose paint must, of course, be scraped off properly. Saponification of painted masonry and prefab walls is often due to alkalinity, so preparation is all-important. Exteriors have a wide variety of surfaces, from storage tanks to structural steel and stucco. Fresh Paint Inc. approaches all of these surfaces with an expert eye, bringing you the professional approach of an industry leader with decades of expertise behind it. 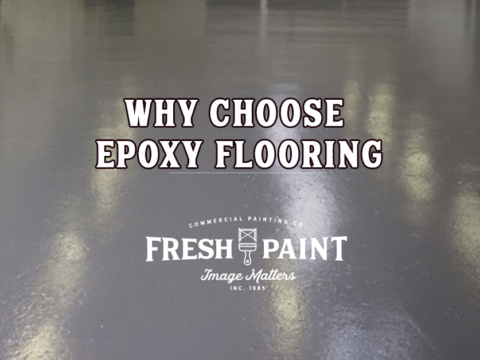 If the surface you’re struggling with its subject to abrasion, it needs a powerful resin and extender pigment. Even the smallest of blisters will lead to peeling in container coatings, so osmotic gradients and soluble pigments must be avoided at all costs. Surface preparation is critical, so Fresh Paint Inc. approaches these surfaces uniquely, testing for soluble salts before using resin-based coatings. 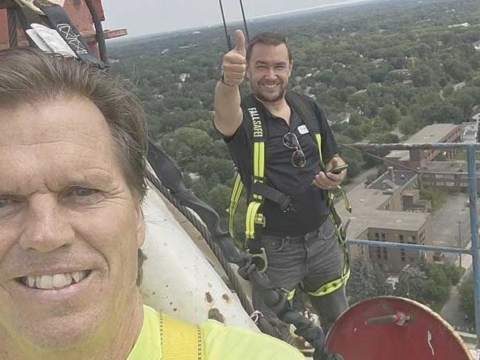 Fresh Paint Inc. has the manpower and expertise to handle projects of any size, whether of brick-and-mortar structures, high rises, or enclosed structures. Our 30+ years of experience allow us to create durable coatings that are correctly formulated on well-prepared surfaces. Peeling should rarely occur, and it’s care and knowledge that keeps our coatings intact.